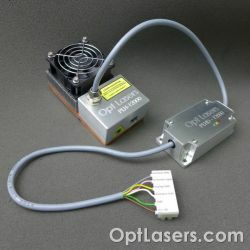 CNC lasers by Opt Lasers are based on the blue laser diode module. Our laser head product line emits 450 nm light at various power levels. Opt Lasers engraving laser heads can be used for laser engraving and marking many types of surfaces. Some features of our lasers for engraving are lightweight and compact designs, protection against external factors, integrated fans for cooling the laser head and removing smoke, the adjustable focus spot size and working distances. We offer standalone laser engraving heads as well as full sets containing laser head and all the parts needed to install the CNC laser in your machine. Also, we have a wide selection of high-quality accessories for our CNC lasers. CNC accessories extend the engraving possibilities and improve the safety and comfort of work. Full set including all parts needed to mount the PLH3D-6W-XF laser head on the Shapeoko machine. Set is including LaserDock, PLH3D Series Adapter, Air Nozzle, Shapeoko holder, lens and 450 nm Safety Goggles with CE certificate. PLH3D-6W-XF accepts 0-10 V TTL/PWM signal generated by Shapeoko controller. PLH3D-6W-Hobby Plug&Play Universal Kit for CNC / 3DP machines includes all needed parts to connect your laser head to a machine. Accepts all types of signals: Analog 0-5 V, Analog 0-10 V, PWM/TTL 0-5 V, 0-10 V and 0-24 V Allows connecting to any type of the CNC controller output connector and any type of signal modulation. Everything you need is included! The PLH3D-6W Series Adapter for Shapeoko is designed to make electrical connections between the laser head and the Shapeoko machines, easier and quicker. Our versatile PLH3D-Series of engraving lasers can be powered by a range of power supply voltages and controlled by a CNC spindle signal, as well as from an analog or TTL signal. PLH3D-6W laser heads are mountable in virtually any 3D printer or CNC machine. 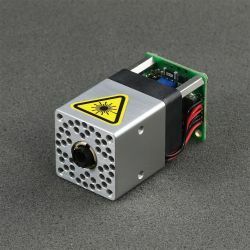 These laser engravers are compact and lightweight, allowing them to be used inside many low-cost or smaller CNC mills. We also offer an array of custom laser heads for engraving. See here for more information. Blue engraving lasers can be used to engrave or mark anodized Aluminium, plastics, woods, and leathers, as well as metals such as stainless steel, Titanium and Wrought Iron. It is also possible to cut plastics, rubbers, foams, with our laser heads, as well as other materials in novel applications. For example, our lasers are used in the textile industry to cut fabrics including airbag and parachute material. Our laser head shave also been used in academic research in the materials processing field.